SALT LAKE CITY, April 30, 2015 /PRNewswire/ -- Millions are in need of critical aid after a 7.8-magnitude earthquake devastated Nepal on Saturday. In response, USANA's True Health Foundation is donating $50,000 USD to International Relief Teams, a nonprofit international humanitarian organization, to provide immediate relief of food and medical supplies to the victims of this disastrous event. "As soon as we heard the shocking news, our board jumped into action, and immediately put funding in place to help the people of Nepal," said Jim Bramble, board president of the USANA True Health Foundation. "Gratefully, our foundation was already well-equipped to handle the urgency of this situation, thanks to the generous contributions of the employees and distributors of USANA." The USANA True Health Foundation's mission is to provide the most critical human necessities to those who are suffering or in need. Every dollar donated goes directly to those who need it most, making a significant difference in the lives of people affected by natural disasters around the world. 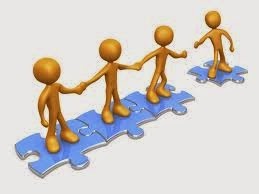 For more information or to donate to the USANA True Health Foundation, go to www.usanafoundation.org . About USANA True Health Foundation: The USANA True Health Foundation (NYSE: USNA) is a registered 501(c)(3) nonprofit organization created by Dr. Myron Wentz, USANA's founder, and USANA CEO Dave Wentz, to help expand and enhance USANA's on-going charitable efforts. Its mission is to provide the most critical human necessities to those suffering or in need. USANA True Health Foundation has an active partnership with organizations such as HealthCorps and the Children's Hunger Fund, which share the same vision of making the world a happier and healthier place. Learn more at our website (www.USANAfoundation.org), follow us on Twitter (@USANAfoundation), or like us on Facebook (www.facebook.com/USANAfoundation). SALT LAKE CITY, April 20, 2015 /PRNewswire/ -- USANA Health Sciences is proud to announce its partnership with two-time NBA All-Star and forward for the Miami Heat, Luol Deng. Deng joins more than 700 Olympic and world-class athletes who trust their health to the nutritional company and is the first NBA athlete to join Team USANA. 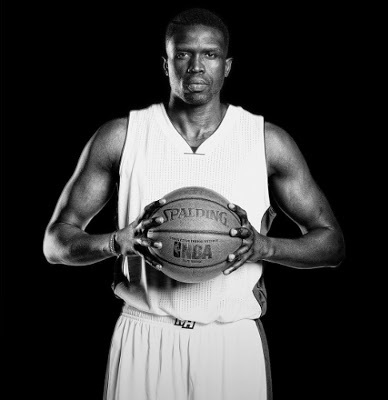 Two-time NBA All-star Luol Deng of the Miami Heat signs on as USANA Health Sciences Brand Ambassador. Drafted seventh in the first round of the 2004 NBA draft by the Phoenix Suns, the 6-foot-9 forward was immediately traded to the Chicago Bulls, where he spent the first nine years of his career. Deng was later traded to the Cleveland Cavaliers halfway through the 2013–14 season before signing with the Miami Heat as a free agent last July, where he's averaged 14.3 points, 4.9 rebounds and 2 assists per game. "Being a veteran, it is very important for me to take care of my body. USANA is a well trusted company that will help me stay in peak shape and continue my success in the league," said the 29-year-old athlete. Selected as an eastern conference NBA All-Star during the 2011–12 and 2012–13 seasons. Selected to the NBA All-Defensive Second Team for the 2011–12 season. Represented Great Britain as captain of the National Team and torchbearer in the 2012 London Olympic Games. Ended career with the Chicago Bulls as 4th all-time leading scorer, behind Michael Jordan, Scottie Pippen and Bob Love. Recipient of the 2006–2007 NBA Sportsmanship Award and NBA's Community Assist Award in April 2007. 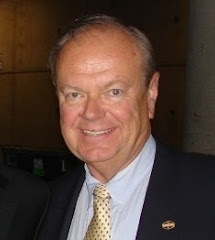 Recipient of the Professional Basketball Writers Association's J. Walter Kennedy Citizenship Award for outstanding service and dedication to the community in 2014. "It's exciting to see the range of athletes that trust their health and careers to USANA's NSF-tested products continue to grow, and to welcome an accomplished NBA star like Deng to Team USANA," said Dan Macuga, USANA's chief communications officer. "We look forward to cheering him on as he prepares for the playoffs and collaborating with him in the offseason." *Luol Deng is represented by French/West/Vaughan, which is his public relations, marketing and endorsement agency of record. **The mentioned athletes are either distributors or dedicated users who have received compensation for their partnership and/or complementary USANA products. Founded in 1992, USANA Health Sciences (NYSE: USNA) is a U.S.-based nutritional company that manufactures high-quality supplements, personal care and energy products in its FDA-registered facility in Salt Lake City. 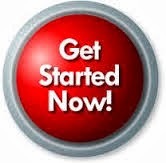 Learn more about USANA by visiting our website http://www.usana.com or the official USANA blog http://whatsupusana.com. Have you heard? 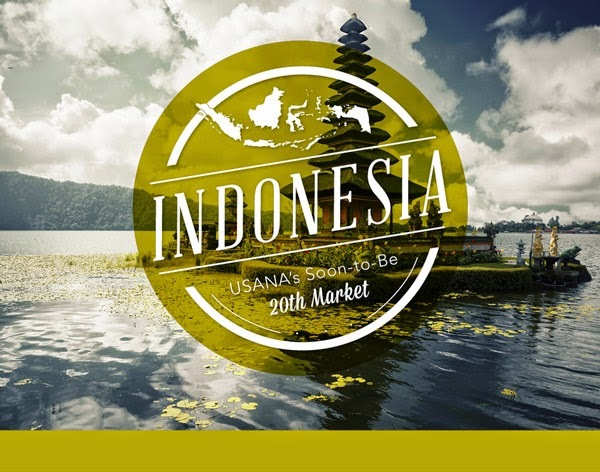 Indonesia is the next stop for USANA. This incredibly beautiful and diverse country will be open for business during the fourth quarter of this year. What drew us to this tropical oasis? The drive and ambition of the world’s fourth most populous nation, along with one of the top five fastest growing economies in the world. As for the pristine beaches, call of adventure, and thousands of islands perfectly situated on the equator—those are just the amazing perks of doing business in Indonesia. If you’re ready to make the most of USANA’s entry to the land of a thousand kings, be sure to visit The Hub often for updates and the latest news. A new study has shown that a zinc deficiency contributes to chronic inflammation by causing improper immune cell activation and dysregulation of a protein that affects inflammation in the cell. Zinc is an essential mineral in human health required as a cofactor in numerous biological processes including DNA and protein synthesis, cell division, normal growth and development, neurological function and immunity, and wound healing. It is also required for normal taste perception and smell. Zinc is naturally available in a wide variety of foods with higher amounts found in protein-rich foods including meat, poultry and seafood. Regular intake is necessary to maintain a steady state because it is not stored. Zinc deficiency most often occurs when intake is inadequate or poorly absorbed, when there are increased losses of zinc from the body, or when the requirement for zinc increases. Evidence from NHANES III data show that zinc intakes among older adults might be marginal, increasing the risk of a zinc deficiency. Zinc deficiency is thought to contribute to the development of chronic diseases that involve inflammation and often show up in older adults who have a higher risk for zinc deficiency. In a new study published in the journal Molecular Nutrition & Food Research researchers examined how the immune system responds to zinc deficiency resulting in mechanisms that promote inflammation. Using in vitro cell culture and the aging mouse model, researchers found that zinc deficiency can induce an increase in the inflammatory response in cells by causing improper immune cell activation and dysregulation of cytokine IL-6, a protein that affects inflammation in the cell. When comparing zinc levels in both young and older living mice, the older mice with low zinc levels had a corresponding increase in chronic inflammation and decreased IL-6 methylation, an epigenetic mechanism that is used by cells to control gene expression. 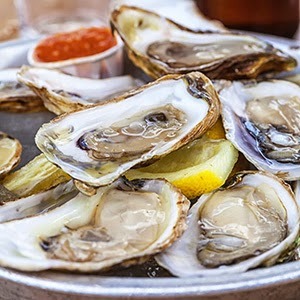 The results of this study provide evidence of a potential link between zinc deficiency and increased risk of chronic inflammation, especially in aging adults. SALT LAKE CITY, April 8, 2015 /PRNewswire/ -- Third-party verification is the new future for some supplement makers, but it's the way it's always been for USANA Health Sciences (NYSE: USNA). A few companies are just now taking the first step to making sure what's on the label is in the product: however, this has been the standard practice for USANA from the beginning. 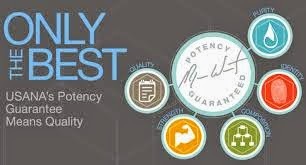 USANA regularly submits its products for third-party testing. Case in point, ConsumerLab.com - the leading provider of independent product testing -recently evaluated and tested USANA's Active Calcium™ and Vitamin D supplements for their claimed ingredient, heavy metals and ability to disintegrate. Both have earned ConsumerLab.com's stamp of approval. "We manufacture the majority of our products in-house at our FDA-registered facility and hold all of our third-party suppliers to the same strict standards to ensure that only the purest ingredients are being used," said Dan Macuga, USANA's chief communication officer. "To continue receiving verification from ConsumerLab.com that what is listed on our labels is found in our products exemplifies USANA's commitment to producing nutritionals that consumers can trust." "We take quality control, potency testing, and product safety very seriously. We encourage everyone to check all nutritional supplement labels and certifications before purchasing or consuming any nutritional product," said Dr. Brian Dixon (Ph.D.), USANA's executive director of health and science education. Keeping health and nutritional companies honest about product claims since 1999, ConsumerLab.com has tested more than 3,400 products and freely publishes its testing methods for public review to help consumers and healthcare professionals identify the best quality health and nutrition products on the market. 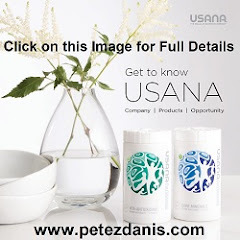 In addition to working with ConsumerLab.com, USANA has received certifications through Good Manufacturing Practices and NSF International-a public health and safety organization-that assures the nutritional company complies with strict standards for quality and safety. More than 700 elite and Olympic athletes trust their health to USANA's NSF and LGC-tested products.